From the first encounters between the Portuguese and indigenous peoples in 1500 to the current political turmoil, the history of Brazil is much more complex and dynamic than the usual representations of it as the home of Carnival, soccer, the Amazon, and samba would suggest. This extensively revised and expanded second edition of the bestselling Brazil Reader dives deep into the past and present of a country marked by its geographical vastness and cultural, ethnic, and environmental diversity. 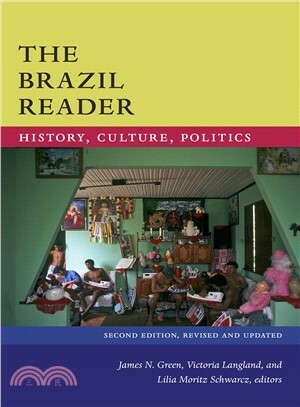 Containing over one hundred selections—many of which appear in English for the first time and which range from sermons by Jesuit missionaries and poetry to political speeches and biographical portraits of famous public figures, intellectuals, and artists—this collection presents the lived experience of Brazilians from all social and economic classes, racial backgrounds, genders, and political perspectives over the past half-millennia. Whether outlining the legacy of slavery, the roles of women in Brazilian public life, or the importance of political and social movements, The Brazil Reader provides an unparalleled look at Brazil’s history, culture, and politics.